Ken Marino Developing ‘Go The F**k To Sleep’ For Fox!!! Scripting team Ken Marino and his wife Erica, are back to work for Fox 2000. They have been hired to adapt “Go The F To Sleep”, with “Twilight” Saga Producer Karen Rosenfelt and “All You Need Is Kill” producer Erwin Stoff as the producers. The book, written by Adam Mansbach, is classified as a childrens book for adults. 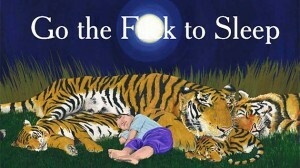 The book is based off of Masbachs frustration of trying to get his daughter to go to sleep. As a parent, I can relate to this. Samuel L. Jackson (Django Unchained) did a reading of it that made it the worldwide sensation. If you haven’t seen it yet, it’s hilarious. 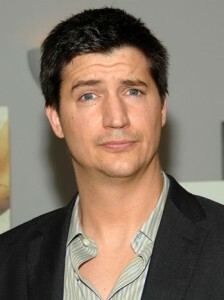 In case you don’t know who Ken Marino is, he starred in a directed the first three seasons of E!’s “Burning Love”. He also co-wrote “Role Models” and “Wanderlust” with David Wain. I have no idea how they are going to pin this book as a decent and worth watching script, but with this power couple you know it will be interesting to see. I’m just impressed that someone who take on adapting this book in the first place. This entry was posted on Monday, April 15th, 2013 at 6:21 pm	and is filed under Film, News. You can follow any responses to this entry through the RSS 2.0 feed. You can skip to the end and leave a response. Pinging is currently not allowed. Mentioning Ken Marino without mentioning “The State” is like mentioning Jimmy Fallon without mentioning SNL. “The State” lives on, too, as these guys continue to work together. I’m still hoping we see the whole gang together in “Wet Hot American Summer 2”! [takes some Nazi utensils] Kitty's gonna love this. How many brides get a wedding gift from Hitler?